Yesterday T-Mobile introduced a deal that’ll get you up to $300 off a new iPhone XS or iPhone XS Max, but it turns out that that’s not the only deal on Apple’s new iPhones that T-Mo has up its sleeve. Starting tomorrow, September 15th, T-Mobile customers who buy an iPhone XS, iPhone XS Max, iPhone X, iPhone 8, or iPhone 8 Plus can get $700 off another iPhone when they add a line and buy both phones on EIP. You’ll get that $700 in the form of 24 monthly credits, and your second phone that gets the $700 in credits must be of equal or lesser value than the first. This offer is open to new and existing customers. Another important detail to note is that this deal will automatically apply to existing pre-orders that are eligible. The offer will also be available when the iPhone XS and iPhone XS Max launch on September 21st. That’s not all, though, because T-Mobile is making the deal sweeter for T-Mobile One customers. Through midnight on Thursday, September 20th, customers on an eligible T-Mobile One plan with two or more voice lines that add a line for this deal can get an additional voice line for free. 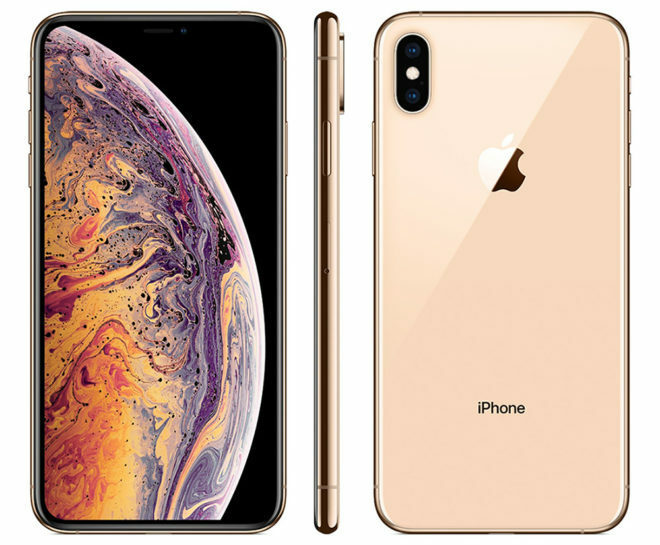 With this deal, you can get a free iPhone 8 ($699.99 full price) after monthly bill credits or get a major discount on a second iPhone 8 Plus ($799.99 full price), iPhone XS ($999.99 full price), or iPhone XS Max ($1,099.99 full price). It’s nice to see that the offer will automatically apply to pre-order customers, too, so those folks who wanted to guarantee themselves a new iPhone on day one won’t miss out. Are you going to take advantage of either of these iPhone deals? Upfront you have to pay close to $2500 (XS or XS Max) then get $700 weeks later. Crazy. Its not up front. This has to be on EIP. Extremely inaccurate information. You don’t pay for both phones upfront. You pay for them over 24 months. You just pay for sales tax up front and maybe a down payment. so you can’t cancel the second line? No because it is bill credits. Canceling will remove the credit. This is their way to keep you for 24 months with paying service. Oh you mean its their new “contracts”? Just like old times when carriers would give you discounted phones for signing 2 year contracts? They just call it a promotion now? LMAO oh John Legere you are good. It’s a deal, not a contract. Your part of the deal is to open a second line for 24 months. Their end of the deal is they will give you $700 back. You may want to wait for a similar promo from Costco. Often times, Costco will give you a cash card instead of a 24 month bill credit. In this scenario, I suppose you could cancel the line after receiving the cash card. Be patient. Black Friday and the biggest holidays of the year are just around the corner. I’m sure you’ll find better deals on these new iPhones. Besides, I doubt the XS will fly off the shelf. Those who bought the original X are not likely to upgrade. And the rest will wait for the XR or buy the older 7/8 instead. If you can’t pay for it straight out, probably shouldn’t be buying it anyway. Use it for a down payment on a house. A house, or an iPhone? I know what I’m buying! Using iMessage is priceless! Please let me know where 1k is enough for a house down payment. Um, in 2007 and right now in 2018. You can finance 100% of your house and closing costs. Another, “Add a new line” deal. No love for the existing customers. What love are you referring to? If you want a straight up BOGO without having to add a line, there’s the LG promo that’s currently running. For brands like Apple and Samsung, you will NEVER find a promo that doesn’t require you giving back something. Hahaha. They got “shamed” into doing this. Their original $300 trade in offer was LAME. So is this new promo for all plans or just One customers? pre ordered iphone xs max. So what of those like me who pre-ordered an XS today? Are we just out of luck? Damn! I could be wrong. But I think it’s $20 for an additional line. If there was ever a year to skip the iPhone this is it. Next year’s model will more than likely be 5g ready out of the box. Some will say this has the 600mhz bands finally but right now that’s still pretty much useless this year to most. Big hard pass for me and the 24 month bill credits are a joke. I doubt it. U’ll probably have to wait until 2020 for a 5G iPhone. Apple doesn’t like to rush into things. They wait for the technology to mature before jumping in. 5G is still in its infancy right now. I’d give it at least 2 years for everyone to be on the same page. Possibly. Apple has turned away from innovation and instead has been trying to perfect the ideas of others. Though we all now 5g is coming, they could wait as you said but I think it all depends on how quick 5g rolls out. Time will tell. Either way, I see better deals in the near future for BOGO. Carriers take advantage of the gotta have it first and now crowd and people should thank Verizon/AT&T for T-Mobile even having a BOGO right now for the new iPhones as they had to do it to match the others. No 5G iPhone until 2020 at least. I was thinking the same about the current new iPhones supporting the 600mhz bands. After looking, that’s only available in rural areas so it wouldn’t benefit me in a major city if I got this phone and that would be the only reason. I’ll wait till 2019 if not 2020 and hopefully by then the notch will be gone. T-Mobile’s idea of “competition” is to give the same offer as Verizon and AT&T. Suggestion: Match Sprint’s iPhone offer for a real “un-carrier” move. You’ve just described the future with just 3 carriers. 3 carriers won’t last long. Dish and Comcast have to implement all their billions of dollars of wireless spectrum within the next couple of years or they lose it and it goes back to the government. Once 5G is out, you will see the three current wireless carriers and several video carriers all operate over wireless airwaves. There will be 6 or 7 wireless carriers by 2022, I bet. Bad news: Offer cannot be combined with the $300 trade in offer. Can I drop one of my lines and add a new line? I dont mind having a new number. I just asked the same question, they said dropping a line during the promo period would disqualify you from the BOGO, your only option may be to add a line then drop the originakl line once the BOGO promo period is over. “You may get up to six discounted devices with the purchase of six non-discounted devices after 24 monthly bill credits per account.” – this referring to ALL BOGO deals for the lifetime of the account? Or is it just this particular BOGO deal? I have a friend who dumped T-Mo because he got tired of the “add a line” requirement, we never get one of these killer deals without that. It’s a great deal if you actually needed the extra line. Right… this deal clearly isn’t intended for all. Is the BOGO stackable with the iPhone $300 offer? I have an in store TMobile rep saying Yes but I a reading no on TMobile website? Why would you listen to the rep when its clear in writing?